In an effort to make up for past mistakes and seek forgiveness from the one person who believed in him, Simon Orwell heads into Mexico to meet up with his former professor to present their research in hopes of being granted funding to continue. But, as soon as Simon goes across the border, nothing goes as planned. Thrown into the middle of a terrifying mess between the cartels and those he can trust, Simon must try to figure out how to stay alive while finishing the research needed to help the poor throughout the world. 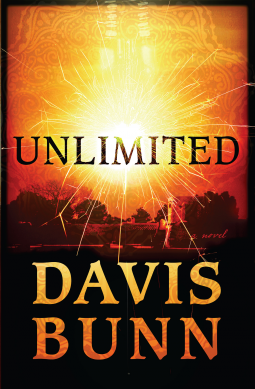 Unlimited is quite the page turner from a master storyteller! Over a week ago, my mom, sister, aunt, and friend threw a baby shower for A and me. I feel so spoiled by all the work they put into it! It was a garden theme, which is kind of funny, since that was the theme for my 16th birthday party (eons ago, might I add. lol). Kenna went to town with the cupcakes and cake pops. I love how the cake pops looked like little flowers! The doughnut muffins were almost like dessert too! My young cousin hand squeezed the lemon aid herself, then did up the adorable sign in the background. I felt quite spoiled by those who put on the party, and then everyone who attended! After their hard earned victory over Satan and his demons in the first Well Spring novel, Reece, Dana, Brandon, and Marcus are gearing up to prepare for their next Spiritual battle. Knowing that they need to prepare to go up against the Wolf to fulfill a prophecy is hard when they don't know what shape the Wolf will be in. Worn out from their last battle and called on to fight the enemy attacking them both singularly and collectively, the Warrior's Riding must rely on God's power more than ever. While I can't say that I agree with everything in this novel, I did find it to be an interesting read that gave me a lot to think about regarding spiritual warfare and how we as Christians need to be more engaged in the battle. What makes a marriage last? 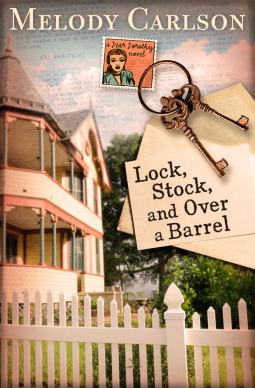 When Adam Colby discovers a photo album filled with postcards, all sent from Gabriel Alexander, to his wife Pearl, over the course of their 60 years of marriage, Adam wonders if there is a secret formula to married love. Having suffered through his own marriage ending in a numbing divorce, Adam tracks down one of the few people left who knew the couple and seeks to piece together their love story. Based loosely on postcards that the author's great uncle sent his wife over the course of their 60 year marriage, Forever Friday is an encouraging story about making marriage last for a lifetime. Every August, Shiloh Griffin steals away from the world and her family, pulls out her recorder, and grieves for the choices she made when she was twenty years old. Hiding behind her image as pastor's wife and stay at home mom, she has kept secrets from everyone for eighteen years. But, things are about to change. When she is given the chance to mentor a fifteen year old budding musician, Shiloh can't help but see herself in young Monica. Especially when Monica makes mistakes of her own that start to mirror that of her mentor. Between mentoring Monica and dealing with Jade Smith, the perfect wife of their congregation's Associate Pastor, God is calling Shiloh to open up her heart, face her demons, and allow grace to go to work in her life. Lead Me Home is a beautiful story that deals with hard issues. Shiloh's journey to forgiving herself and listening to God's voice, even when He calls us out of our comfort zone, is one that will stay with you long after you finish the last page. Years before, Daphne Ballinger left her small town behind to live in New York City and work for the Times. Idealistic and ready to take on the world of journalism, she figured that writing wedding announcements for the paper was just a quick stop on her way to bigger and better things. Over a decade later, and Daphne is still writing wedding announcements, living in the same tiny apartment with two roommates, and continuing life in a rut. But, when her elderly aunt passes away, leaving her estate to Daphne, she is forced to get out her comfort zone and start really living. When I started this one, I didn't realize that it was the beginning of a series, so I started thinking towards the end of the book that things weren't going to be resolved. ;) I was thrilled to discover that this is just the first book in the Dear Daphne series. The characters were so much fun, that I'm more than happy to return to Appleton again! This novel reminded me why I enjoy Melody Carlson's novels so much, they are fun and light, yet have a deeper message. Laurie Burke is convinced there are no good men out there. Living during the Prohibition, she is surrounded by men who are either rum runners or drunks, leaving her to wonder what the point was of making alcohol illegal. When two new young men come into town, she thinks she has them pegged: one as a rum runner with her brother's gang, the other as an upstanding member of the government who just wants to put an end to any illegal activity. But, first impressions are never what they seem. Filled with rich historical details, Mistaken is an interesting story that will keep you interested to the last page. 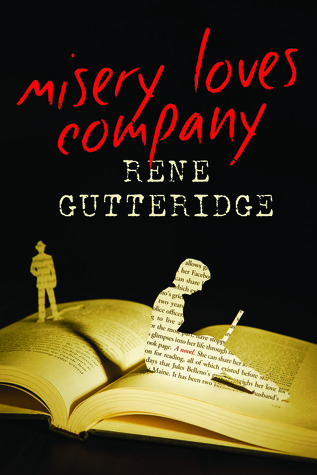 Life has been tough on Angel, a young woman in California's gold country in the mid-1800's. Left motherless at a young age and sold into prostitution, she has built walls around her heart to help her survive from day to day. When Michael Hosea comes into her life, claiming he feels the Lord calling him to marry her, she can't help but laugh and think that all men are exactly the same. As Michael seeks to show her the love of God and how selfless love can be, Angel seeks to escape. Loosely based on the story of Gomer and Hosea, Redeeming Love is a powerful story of love and forgiveness, and how God never gives up on His children. A word of caution with this book, I wouldn't recommend it to my young, unmarried friends since it is a very sensual story. While things about Angel's past are handled well by the author, you can't get around that the story is about a rough lifestyle. That aside, it has a beautiful message about a life changed through one man's obedience to follow God and how that can change multiple lives. Leslie Rhoads is on top of the world. After landing her photo on the cover of a popular magazine, she seems to be on the brink of breaking into the forefront of modeling. When she is given the opportunity to be the face of a controversial perfume campaign, Leslie heads home to think over the pros and cons. Before she can make her choice though, she is the victim of a terrible attack that leaves her with a horribly scarred face, taking away everything she ever knew. After a lifetime of letting her looks define who she is and how she makes her livelihood, Leslie must decide what she is made of and if there is more to her than just her once pretty face. Can God work such a horrible tragedy into a thing of beauty? 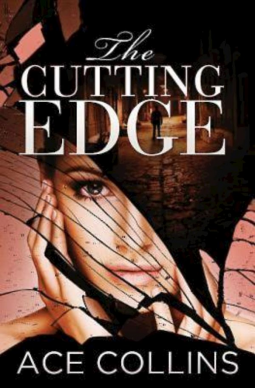 Part mystery, part suspense with, this story appeals in so many different ways. I like that there is a depth to Leslie's journey to finding out who she really is. I also like that the hero of the story is actually a hero, one who has morals and shows his love through actions. which brings up just what a beauty driven world we live in. What is beauty? How do you define it? This book made me think a lot about the emphasis that our world puts on a beautiful face, and how it is so different from God's view on what makes us lovely. As a child of God, my focus needs to be firstly on my heart (which I know I need to work on), and then on outward beauty. That the fact that I am a child of God is what makes me beautiful in the long run. After the unexpected death of her husband, Juliet Bellano turns into a recluse, rarely leaving her house and turning to her blog for contact with the outside world. After writing a less than favorable review on the area's local writer, she turns up missing. While her father and an old friend search to prove that there is foul play, Jules is in the midst of a bizarre kidnapping that will leave her questioning everything she has ever known.